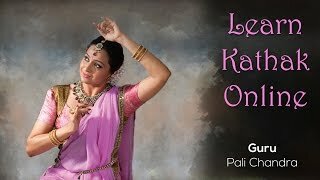 Are you a dance enthusiast who is interested to learn the classical dance form Kathak? Here is online learning course for beginners conducted by Guru Pali Chandra. There are 30 modules with nearly 150 sub divisions to make it simple, interactive and enjoyable. The lessons are self-explanatory. However, should the student have any queries, we will provide prompt online support. Subscribe her YouTube channel to get free online classes.